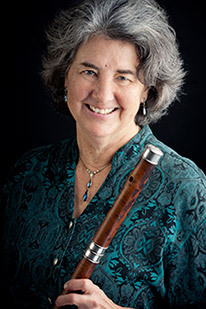 Going into its 21st year, the 2019 Seattle Baroque Flute Summer Workshop welcomes baroque flutists of all levels, as well as modern flutists looking for an intensive week of study on baroque flute. Requirements for attending: a solid foundation in tone production, and knowledge of baroque flute fingerings. The workshop pitch will be A = 415. Join us for a week rich in chamber music, master classes, daily sessions in the Alexander Technique, and classes focusing on tone production and technique. 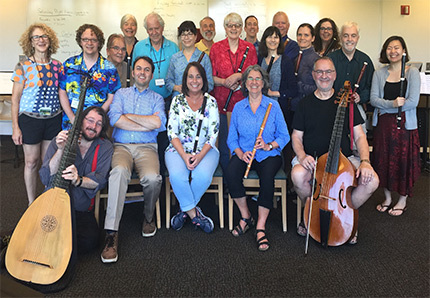 Always a highlight of the week, students will be joined by some of Seattle’s finest professional musicians (baroque flute, lute, violin, cello, viola da gamba, and harpsichord) who will be coaching and playing in student ensembles. Wednesday afternoon and evening will be free for exploring local sights: the Pike Place Public Market, our local chocolate factory, or boat excursions on Puget Sound. 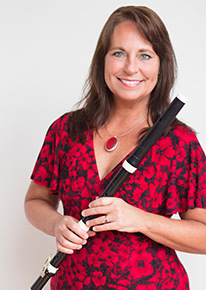 "It is paradise, playing this music and instrument all day with excellent, positive, lovely coaches, and the overall warm, supportive community. I did not want the workshop to end!" "What can I say? This is earthly paradise...I so appreciated the warmth and hospitality of the Seattle flutists. They are a big part of what makes this week special. (Not to mention Marty's wonderful food.) Also, the friendly non-competitive atmosphere makes learning and working hard a pleasure and adds to the joy of music making." The workshop takes place on the beautiful campus of Seattle Pacific University. Nearby are the colorful Fremont and Queen Anne districts of Seattle, both of which abound in restaurants and coffee shops. Students will be able to prepare meals in residence hall kitchens or purchase meals on campus. Lodging will be in single rooms with private baths. Evening sessions, informal music making, and sharing meals contribute to the richness of the week.